Scratched up ankles, bruised wrists, and scabbed-over elbows are tell-tale signs of a trail runner humbled by the sport. If asked, such a runner will tell you about the slip in the mud or toe caught on a tree root that caused a tumble hard into the trailside bramble. The recollection of such a fall (or series of falls) usually includes neither regret nor bravado. For the runner, each stumble is seen as a teachable moment; it’s an opportunity to learn how to run better, with heightened awareness and a lighter, quicker footfalls upon the earth. That’s the thing about trail running: The rewards are greater than the risks. 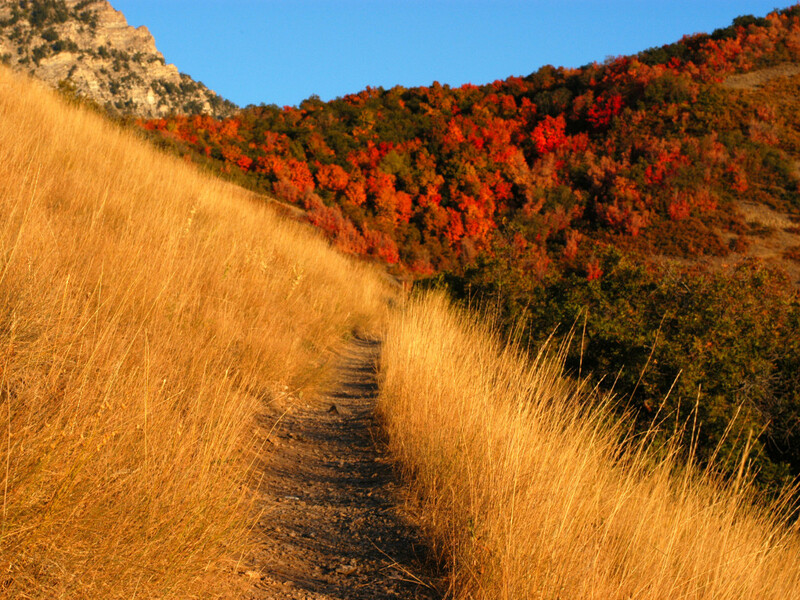 Like the terrain of life itself, the paths can and do lead to high highs and low lows. In other words, to run trails is to be fully alive. For some devout trail runners, a trail run is the equivalent of going to church. Whenever they feel a spiritual void, a good trail run fills it. After all, to propel oneself headlong into nature requires faith that one will not only survive the experience but end the run satiated, with humility restored and compassion for the world amplified. If you live in fear of what lies around the next blind corner, trail running is not for you. To follow a narrow, dirt path is to literally enter the unknown, trusting in your ability to handle whatever you encounter. A bear or a rattlesnake could suddenly appear in your path. You might brush against poison ivy or stinging nettles or get eaten alive by mosquitos. Get lost and you risk draining your water bottle and suffering from dehydration. Or you could turn an ankle or slip down an embankment, leaving you limping and all the way back to the trailhead. Go for a run on city streets, though, and you can always stop at a convenience store, buy a Gatorade or call mommy to come pick you up. But head off road and away from civilization and you better be ready to bail yourself out of trouble. At the very least, trail runners wind up with better stories to tell their mommies. 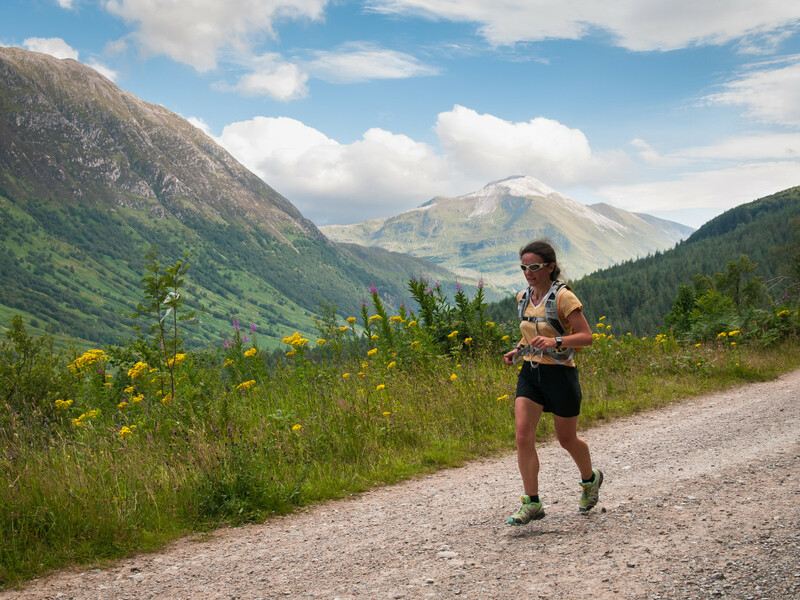 While you can’t be prepared for everything (if you could, trail running wouldn’t be as much fun), you have to think before you leap into the woods or bound up that mountain pass. You have to make several strategic decisions first—from what to wear (trail shoes, sunscreen), carry (water and food, a first aid kit, a cell phone), where to go (a trail that provides opportunities for hill training, speed sessions or long, slow distance), and taking into account the weather (trails with tree cover that shelters you from the wind and sun or a loop that ends with the wind at your back). Any stretch of trail, whether you’ve run it dozens of times or never before, has the potential to surprise. Change the time of day, season or just the direction in which you run a trail, and the landscape can appear wholly new—and either challenge or reward your state of readiness and fitness. Do enough hard climbing and hell-bent descents and you’ll become more fit than you’ve ever been. As you grow stronger, your capacity to log more hilly miles on the trails also increases. But the farther you go, the more you risk overconfidence and a mishap. Take your eyes of the path for just a moment and you can be sent sprawling. Knowing he should just be grateful his son was not seriously injured, the father heard this and inwardly beamed with pride. They boy had seemingly learned from his father’s example that time spent on trails is time spent communing with nature—and revealing one’s vulnerabilities in the process. Like the trail runner’s flesh wounds, most mistakes are superficial, quick to heal, and easy to recover from. The lessons learned, however, are longer lasting. Trail running, like life itself, can be as humbling as it is enlightening.